If you have an eye patcher in your life, you may become frustrated with the fuss they make when told "it's time to wear your eye patch". Have you ever wondered why they get so upset with you? 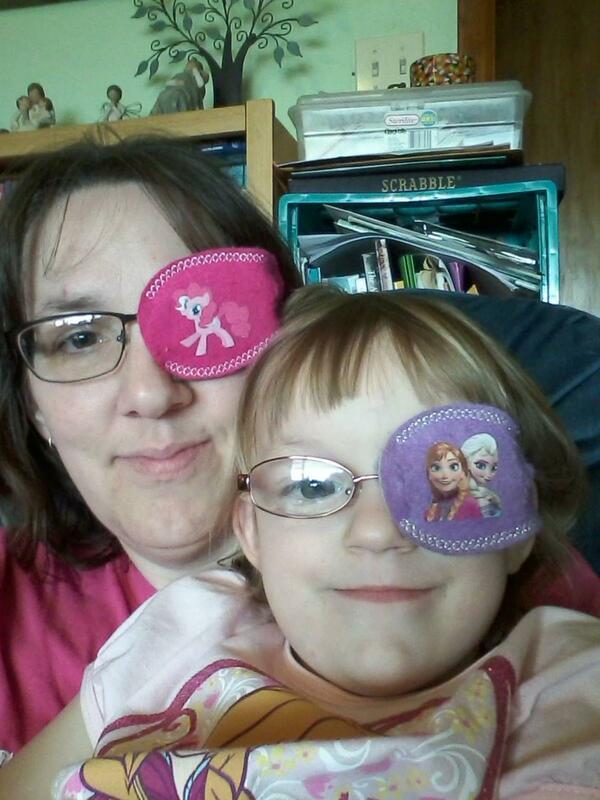 Try spending one morning with your child and wear an eye patch with them. At first, it is very disorienting and can make you feel dizzy, even sick to your stomach. The feeling will go away after a few minutes if you calmly look around and slowly become more comfortable with your new view. As you look around, you begin to feel vulnerable and realize half your world disappears. You start twisting your head making sure you are not missing anything. Shadows can catch you off guard and if someone enters your vision from your patched side it can actually startle you. Try to go about doing your daily activities. It's difficult, it's very difficult. Now think about your child. Your child is actually patching their good eye. So the eye they depend on for vision is now covered, and the "bad" eye their brain has been ignoring is the sole source of their vision. That's rough. We all need to remember this. It may take days before you can build up to one hour of good eye patching. Some kids are required to patch all day, take it slow. Eye patching is a challenge and these little kiddos are superheroes. So when you get frustrated with the fuss your little one is making, take a deep breathe and give them some time to adjust, give a hug, or a high five. They deserve a little extra patience and TLC.